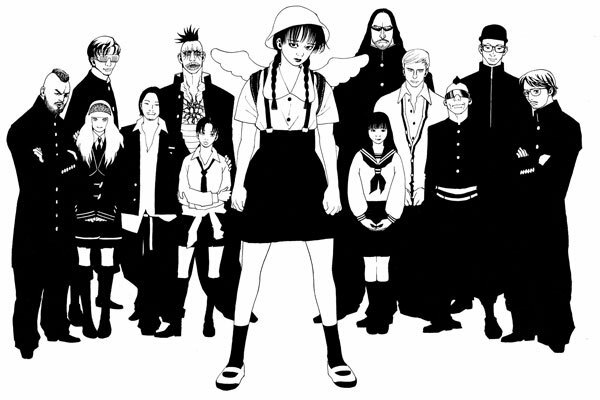 Vampillia is a Japanese, 11-piece band that combines elements of metal, punk, noise, grind and classical music into one completely weird and wholly unique sound. Let that all sink in for a minute: it’s a lot to digest. Most importantly, their brand new song “Winter Ash” grabbed us immediately upon first listen. That it’s somehow both so completely out there and insanely catchy is even more remarkable. The band is quick to give thanks to grind legends Discordance Axis in all their press copy, which certainly makes some sense — although Vampillia’s is a distinctly Japanese take. The band’s new EP Happiness Brought By Endless Sorrow is set for release on April 18th to coincide with band’s performance at Roadburn.